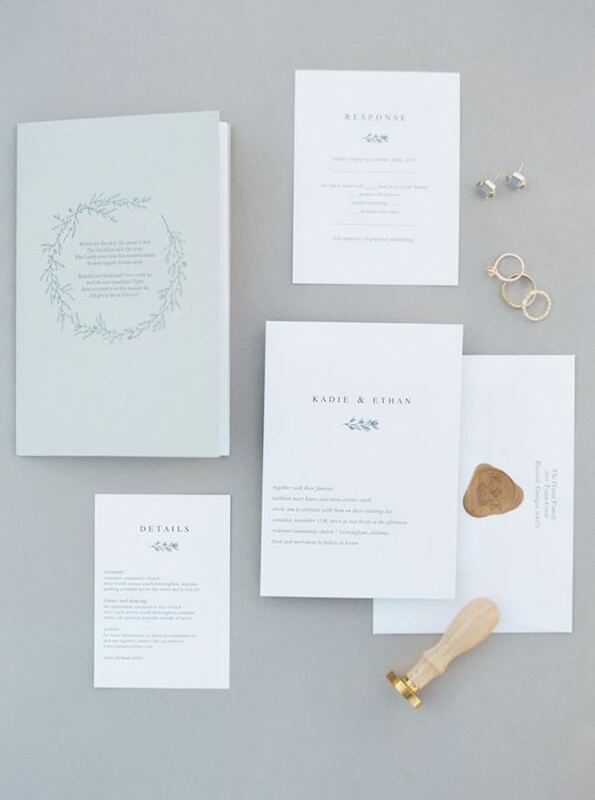 When we consider preparations for any celebration—be it a wedding, shower, or simple dinner party—our thoughts about the paper pieces involved tend to revolve around the invitation and thank you notes. But, even throughout the celebration, paper most definitely has a place at the table. And, putting forth a little extra effort toward the tablescape doesn’t have to be reserved for fancier events. These details can be very simple, adding just a little something to your table to make your guests feel welcomed by the thoughtful warmth of your hospitality. Here are seven of my favorite ways to incorporate printed pieces into tablescapes. These old standbys might be the most obvious choice, but personalized place cards for each guest really makes any occasion feel a little extra special. Just do a little search on pinterest...you can write names on just about anything you can imagine. Whether you opt for a simple tented card, or a card plus a fun holder or accessory, there are no end of options available for marking the seat of each of your guests. Who doesn’t love a little teaser of what’s to come? 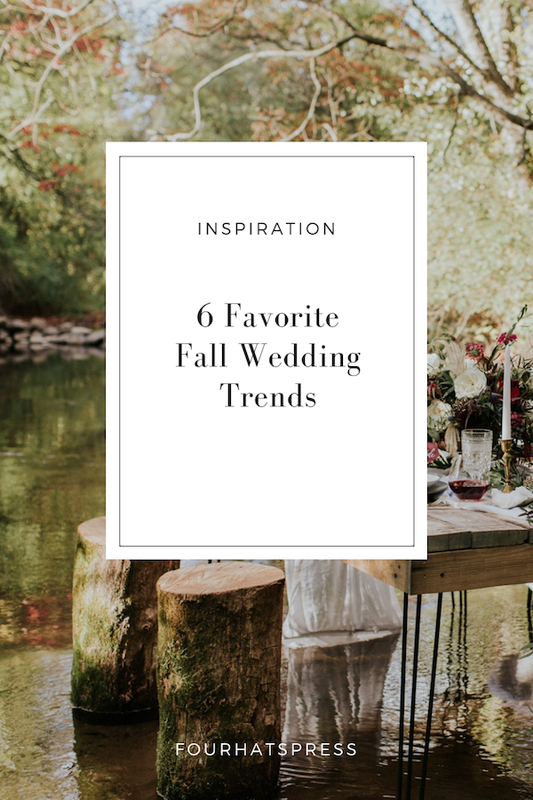 Separate out the meal by course for each place setting at a plated dinner or use a chalkboard or paper roll to write out a more casual buffet or family-style meal. Seeing the meal in writing can clear up any ingredient questions guests might have, and allow them time to make special requests or simply decline a course. Plus, if you’ve got their favorite dessert on the menu, it lets guests know to save room! For my wedding, I knew I wanted the takeaway favor to be a custom-designed print. The dinner plate proved the perfect place to distribute them so that guests would be sure to grab them before heading out. A little souvenir from the evening doesn’t have to be expensive or time-consuming to be thoughtful. Have a custom monogram you just can’t find enough places for? A custom-printed paper napkin ring is a great place to bring in the design element along with the color scheme of your event. 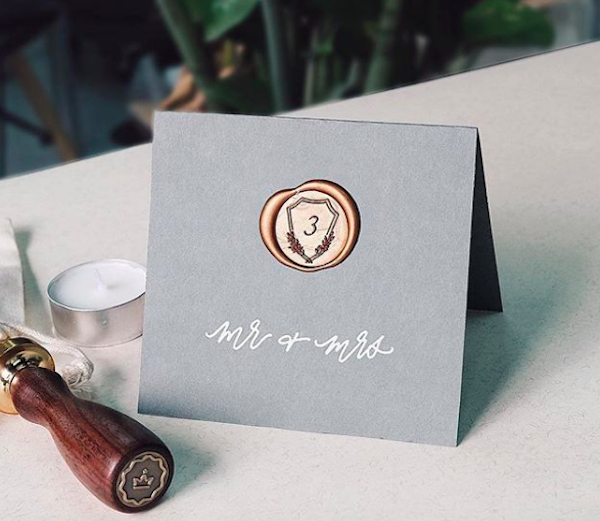 Depending on the size and formality of your event, you may opt to have a rubber stamp made or perhaps letterpress is a good option. 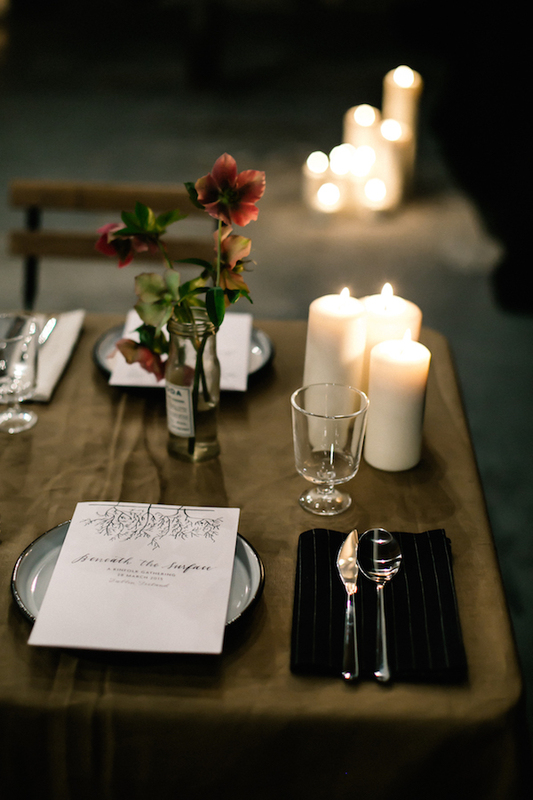 For larger events (with seating charts), table numbers direct your guests to their seats. You may want to create some sort of simple sign/stand situation or a more-elaborate piece with flowers or other decorations. Adorn the seats of your guests of honor with some floral elements and special signage. A simple hanging sign makes for a great photo opp and also reserves the seats of your honorees should you opt not to do place cards for other guests. This is one of my favorite at-home tricks for elevating the feel of a little gathering. I keep a huge roll of kraft paper on hand and roll out an impromptu “table runner” when I feel the place settings need a little something. I often lay twigs and eucalyptus branches down the center to create a garland effect, before finishing off the look with some brass candle holders or vases. You can even write names or poetry verses directly on the runner should you choose. This little technique is inexpensive and definitely elevates the table from ordinary.